Barcelona risk losing their priority summer transfer target Marco Verratti to Manchester United, as the English giants are now believed to be the frontrunners in the race to sign the PSG midfielder. The Italian was recently linked to the Premier League side after he appointed Mino Raiola as his new agent, due to the fact that the Dutchman also happens to represent several of Manchester United’s signings made in the transfer windows since last summer. Meanwhile, the Red Devils are desperately looking to sign a central midfielder who can help complement Paul Pogba and bring out the best in him going forward. United’s efforts to sign Tottenham’s Eric Dier and Chelsea’s Nemanja Matic have failed, and that has forced the Mancunian giants to turn towards the talismanic Italian. 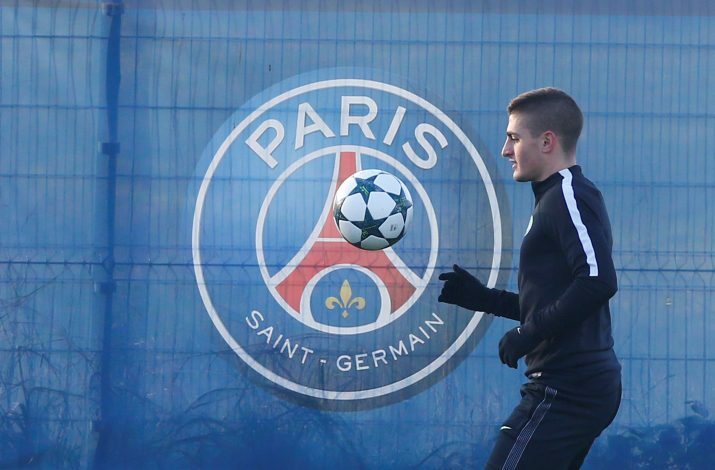 Verratti is reportedly open to joining the Red Devils, however, he doesn’t see Old Trafford as his number one destination, as he has his heart set upon a move to Barcelona. The Catalan club has been linked with the midfielder throughout the summer, as Barca see the 24-year-old as an ideal replacement to the ageing Andres Iniesta. However, the La Liga giants now seem to be wary of making a move for Verratti, because they are aware that PSG are keen on signing Neymar – something the Blaugrana don’t want to see happening at any cost. Any potential offer for the central midfielder could mean that the French side could ask for the Brazilian in return. With Barcelona’s interest as good as dead, United remain the only destination at Verratti’s disposal. If he chooses to pursue that switch, it would make for the most shocking news of this summer, and make the Red Devils serious title contenders next season in the process.